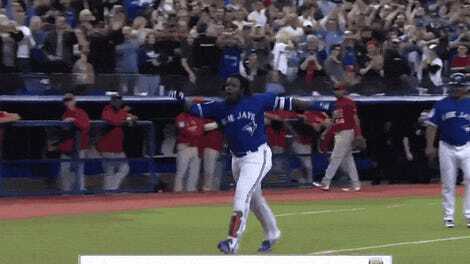 Filed to: Vladimir Guerrero Jr.Filed to: Vladimir Guerrero Jr.
Toronto Blue Jays prospect Vlad Guerrero Jr. smacked a massive tater Thursday night that sailed clear out of the stadium in Double-A Binghamton. 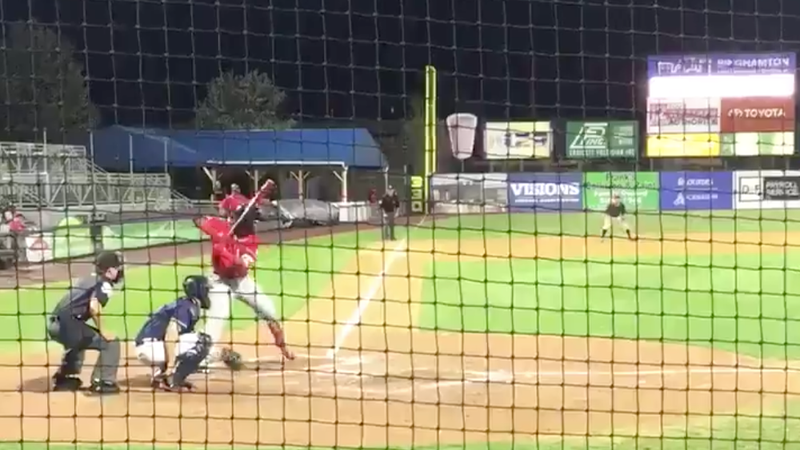 We’ve seen Vladito hit some major dongs already in his still very young career, but the audio on this particular big fly gives it a little something extra. Vin Scully himself couldn’t have said it better. Or, anyway, he couldn’t have said it any louder.